Smokers Apparently More Vulnerable to GERD (Chronic Gastric Acid), How come? Smoking has many adverse effects on health. One of the most common effects is lung disease. But apparently, smoking does not only affect the respiratory system. Cigarettes can trigger diseases related to the digestive system, namely GERD or better known as stomach acid. So, what is the relationship between cigarettes and stomach acid? Here's the review. Gastroesophageal reflux disease or GERD is a condition when stomach acid rises into the esophagus, the part that connects the mouth and stomach to cause burning in the chest and a series of other symptoms. GERD is used to express gastric acid that is severe or chronic. Because being in the chronic category this disease can appear one to two times per week. When you swallow food, usually the muscles below the esophagus that separate the esophagus with the stomach will relax so that food and fluids will flow into the stomach before finally closing again. However, when the muscles in this part are weakened so that they cannot control when to close and open, stomach acid in the stomach can flow back into the esophagus. If this happens too often, this condition will irritate your esophagus to make it inflamed. This condition then triggers GERD. Why are smokers more susceptible to GERD? Cigarettes contain nicotine which can relax smooth muscle in the body. The lower esophageal spincher is the muscle in the lower part of the esophagus which separates the esophagus from the stomach which belongs to the smooth muscle. The spincher is in charge of regulating the way the food goes to the stomach and prevents acids from entering the esophagus. Unfortunately, nicotine causes the spichter to relax so that stomach acid rises to the esophagus and eventually causes GERD. Smokers have less saliva compared to normal people. This is triggered by various contents in cigarettes that make the mouth drier. In fact, saliva is an acid neutralizing agent called bicarbonate which is useful to help fight the effects of gastric acid reflux and also GERD. So actually when you swallow saliva, saliva helps neutralize the acid in the esophagus that occurs due to reflux. Conversely, if the production of saliva is less then the acid that rises into the esophagus cannot be neutralized until it finally makes you more susceptible to GERD. Did you know that smoking encourages the stomach to produce more stomach acid. Indirectly stomach acid which has the chance to rise into the esophagus becomes even more. As a result, your chances of getting GERD are even greater. Besides being able to relax the esophageal muscles that should contract to close, cigarettes also have the same bad effect on these muscles. Cigarettes interfere with the work of the muscles that help move food into the esophagus. Though this muscle works by helping to clear the esophagus from damaging acids. Not only is the muscle damaged but the mucous membrane that protects the esophagus from acid damage is also affected by its negative effects. 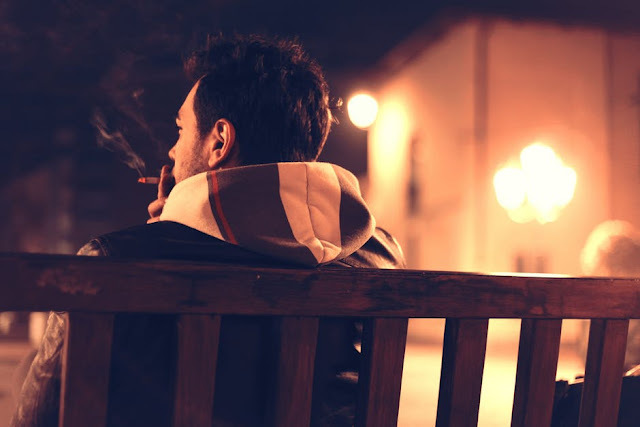 Because cigarettes and stomach acid are very related, you should start reducing the intensity and number of cigarettes you consume every day to avoid various health problems including GERD. The researchers conducted a survey of nearly 15,300 people and found that 25% reported experiencing gastric acid disorders at night. The results are published in the CHEST journal. This is a problem because acid symbol disorders can interfere with sleep and can cause other health problems. Having stomach acid reflux continuously can damage your esophagus. Gastric acid can injure and damage the lining of the stomach or cause changes in cells that increase the risk of esophageal cancer. Night acid reflux can also leave acid in the esophagus, causing more damage. This disorder can also cause sleep deprivation and ultimately insomnia. 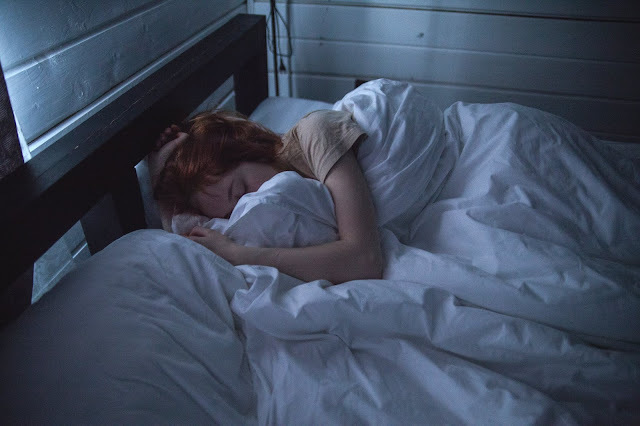 You can wake up in the middle of the night because your stomach hurts and it's hard to go back to sleep after taking medication to relieve pain. You need at least 7 to 8 hours of sleep every day if you don't want to be exposed to various health problems due to lack of sleep. Doctors often recommend lifting your head around 10-15 cm. Some recommend a pillow that can support your body from the waist to as high as 10-25 cm to prevent stomach acid reflux. This method works because it uses gravity to reduce food in your stomach. You can change your sleeping position to avoid stomach acid disorders. Sleeping on the left side can be the best choice. Research has shown that you can reduce stomach acid reflux by only reducing 1 kg of body weight. Symptoms of stomach acid will worsen as you gain weight. You put pressure on your stomach if you wear tight clothing during sleep, especially tight at the waist, which causes symptoms of stomach acid. Larger portions mean more food in your stomach, so it takes longer for these foods to be fully digested, and the longer they are in the stomach, the more likely they are to cause reflux. Just like eating large portions, eating late at night takes longer to digest. In addition, your esophageal sphincter becomes lower than a normal person and causes food to be easier towards your esophagus. Try not to eat about 3-4 hours before going to bed. Do not rush when eating. Stress can cause the stomach to release more acid. You also need to stay upright and not bend or lie down when you eat. Avoid eating foods that can trigger stomach acid, including alcohol, chocolate, candy, coffee, carbonated drinks, fruit and orange juice, tomatoes, pepper, vinegar, sauce and mustard, spicy or fatty foods. Chewing gum can make the body produce more saliva. This will help neutralize the acid in the stomach. Smoking is bad for your overall health, not just the digestive system. Chemicals in tobacco relax the esophageal muscles, which allow acid to rise. Do not immediately exercise after eating. Give your stomach a few hours to empty yourself. Gastric acid disorders at night are common but can be dangerous if left untreated. If you experience severe gastric acid reflux that causes vomiting or difficulty swallowing, see a doctor for medical treatment. The musty smell in the cupboard is usually caused by air humidity and poor circulation in the closet, resulting in mold or bacteria so that a musty or unpleasant smell will emerge from our wardrobe. This sometimes impacts on the clothes we store in it, along with unpleasant smells. The unpleasant smell on clothes such as the smell of cabinets, musty odor, and unpleasant and delicious smells on other noses do indeed interfere with our activities. Too often we don't pay attention to our own clothes. So dirty or clean just stacked in the corner of the room. Or maybe you wash clothes and put it in a closet without checking it? It can also make your clothes moldy. Fresh air is very good for your clothes, don't forget that clothes also need to breathe like you. How are tips on how to remove a musty odor in the wardrobe? Here is the answer so that your wardrobe is protected from the musty smell in your closet and clothes. 1. If the cupboard is still new, put the tobacco in the container and then put it in the cupboard for a day and a night slowly, the musty smell will disappear. Remove the tobacco and then store the clothes inside. 2. Take jasmine buds that are still budded, then put them in an open bottle / small bowl. Put it in the cupboard, it will smell like fragrant. And don't forget to replace it with a new one when the flower has withered. 3. Wet a small amount of cotton with perfume, then place it in an open container in the cupboard, the smell will be felt faintly later on the clothes. Wet the cotton again with perfume if it's no longer fragrant. 4. Place the scented soap slices in a bowl or open a small jar and place them in a cupboard. In order to be interesting you can form the soap into boxes, spheres or other decorative shapes as you wish. 5. When Washing Clothes. rinse with Deodorant and Clothing Softener. Usually in the form of a thick liquid used to rinse clothes after washing to make clothes softer and have a fragrant and long-lasting fragrance. 6. When lifting clothesline. Clothes that are still cold or not dry properly do not stack them with a clean one. Clothes that have not been dry before can cause a musty smell on the clothes themselves and other clothes. 7. Avoid ironing clothes that have not been properly dried. Wet clothes that are exposed to iron heat usually cause an unpleasant odor. The smell of excessive heat and can damage clothes. If you keep this outfit in a closet, it will automatically transmit a musty smell in your closet. When you iron your clothes, you can spray lubricant and fragrances to smooth and scent the clothes you are ironing. 8. Before you save the clothes in the closet. Make sure your clothes are clean and completely dry. This is the thing you must do. 9. Spray Perfume on clothes that want to be stored, then the clothes become fragrant. But not too much because it might damage the clothing material or the smell is too strong so that it can disturb your concentration and those around you. If you are too active so the clothes become a little wet and moist can make the sweet smell of clothes become strange and unpleasant. 10. Give breathing space to your collection of clothes. If you are going to store it for a long time, just put it in a box or plastic that you have holes in so the air can come in and out. 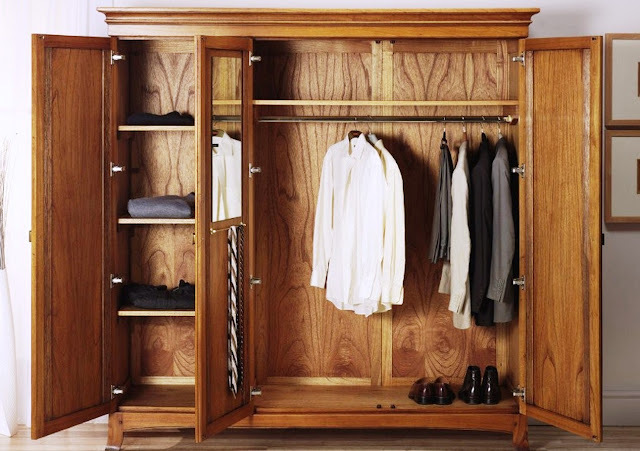 The neatest and best wardrobe for clothes is made of wood. We don't need to prepare a special hole for breathable clothes. 11. Pay attention to the room temperature where the clothes are stored. Do not store cardboard containing clothes in a room with high humidity. If the condition of the room is too moist, the smell of your clothes will certainly be musty. 12. Stain food or sweat from clothes stored in the closet can cause moths. Ordinary moths like to make holes in your clothes. If you don't want your favorite clothes to eat moths, double check your closet. remove dirty clothes and clean them. 13. Spray some laundry perfume or clothes perfume and put camphor in your closet. Besides being effective in expelling moths, camphor is also useful for adding fresh scents to your closet. But remember don't forget to replace it when it runs out. Thus, hopefully the article tips on how to eliminate musty odors in the wardrobe this time can be useful information for all of us. In addition to useful eggs, it turns out that eggshells also have good benefits for maintaining a healthy body. Any benefits from eggs for plants are as follows. Not only plants that have to be decorated, pot decorations for plants are very necessary so that the owner pays more attention to the pots and attracts them to treat the plants in the pot. EM 4 can be used to interfere with egg shells so that it can be used as plant fertilizer. The function of the egg and EM 4 concoction is to stimulate so that the flower of the prospective fruit or so-called seed is immediately aroused and can come out, besides also to load the fruit with sweet taste. When it has been fermented, use it by taking 1 tablespoon of the fertilizer and then mixing it with 5 liters of water. How to use it is enough to spray on the plants you want to fertilize. Mix the ingredients together and add about 30 liters of water. the function of this fertilizer is to be used to fertilize leaves or fruit to be fresher. How to use it also by spraying the results of artificial fertilizers into plants that will be given fertilizer. Utilization of both organic and chemical fertilizers is needed by trees or plants because the presence of fertilizers can help in the growth of these plants. The benefits of fertilizers are very diverse and numerous. In essence to fertilize plants. That is the benefit of egg shells for plant decoration and also for fertilizer. 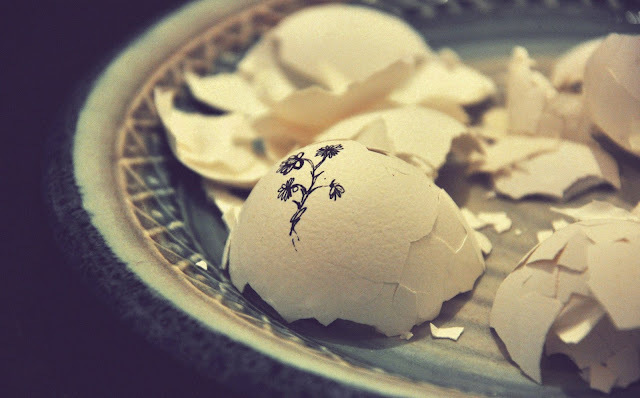 Indeed, it is rare to use egg shells for fertilizer, most of them prefer to use egg shells to decorate ornamental plants. this article is expected to be able to take advantage of the benefits of eggshells for more plants. Thirst, which is characterized by a dry sensation in the throat can be experienced by anyone who does certain things such as exercise, heavy activities outside the room or in the room, the weather or hot room temperature. Overcoming thirst is usually enough with the benefits of drinking lots of water until thirst is gone but drinking just plain water is still not enough to meet body fluids especially after carrying out heavy activity in a relatively long period of time. Young coconut water contains electrolytes which can replace body fluids quickly. So that young coconut water can be called a natural isotonic source. Drinking young coconut water regularly in addition to making thirst become lost can actually help you nourish the skin. Skin health problems such as dry skin, not tight and wrinkles and signs of premature aging can be overcome with young coconut water. The content in young coconut water can help you to reduce the signs of premature aging because young coconut water can moisturize your skin and help tighten the skin. Antioxidants are believed to be substances that are very useful for maintaining a healthy body. 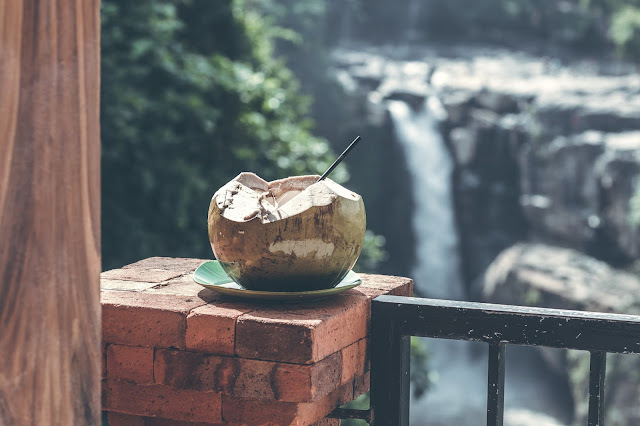 The content of antioxidant benefits in young coconut water can be useful for the detoxification process of poisons that enter the body due to pollution or pollution in the outside environment and from the intake of low nutritious foods such as ready-to-eat food or junk food. Anti-oxidant sources can still be obtained from other vegetables and fruits. Energy is reduced and fatigue after doing certain activities can be fulfilled again by drinking young coconut water. Young coconut water has a content that can stimulate the body's hormones so that the body can feel energized again besides that the sensation of calm and refreshing from young coconut water makes the body relax so that it can return to activities quickly. Increased stamina in a fast recovery time is needed for someone who is doing heavy activities in a certain time such as exercise with a determined schedule so that the exercise is carried out continuously and requires excellent stamina so that drinking coconut water at rest is the right choice. The digestive system as a vital process often experiences disorders such as smooth bowel movements and constipation which can burden the digestive process and make the body uncomfortable. This can be caused by the lack of the benefits of fiber consumed and the consumption of low-nutritious foods that cause interference. Young coconut water is believed to have good benefits to maintain the health of the digestive system. Heart health needs to be maintained because of the importance of the performance of the heart in pumping blood which is then flowed throughout the body by carrying oxygen needed in the workings of internal organs. Heart health problems that can be caused due to high levels of cholesterol or blood fats resulting in blockages in blood vessels that cause blood flow is not smooth and the heart's performance gets heavier. Young coconut water is believed to reduce cholesterol levels so that it can maintain heart health. Hair loss can be said of everyone's problem. Both men and women do not avoid this problem. Just look at how many men who experience baldness in adulthood or middle-aged. Hair loss can be caused by many things including dry scalp, dandruff scalp, health conditions, improper use of hair care products, side effects of certain drugs, stress, chemotherapy side effects, and so forth. Being a parent is not easy, especially when you are too responsible and self-critical parent who wants to be perfect in everything. Mom and Dad, you need to relax, and here are 10 great ways! Sometimes you need to be simpler and more cunning. Do not waste all your strength and nerves for nothing, relax and enjoy life, parenting, another sunny day. It's so simple. Instead of forcing the child to eat vegetables, put a plate of chopped peppers, tomatoes, cucumbers, radishes on the table and eat from it. The child is sure to ask what the adults have on the plate. Instead of constantly asking and reminding the child of some responsibilities, write a note and hang it in a prominent place. Magnetic board on the refrigerator - an ideal option! 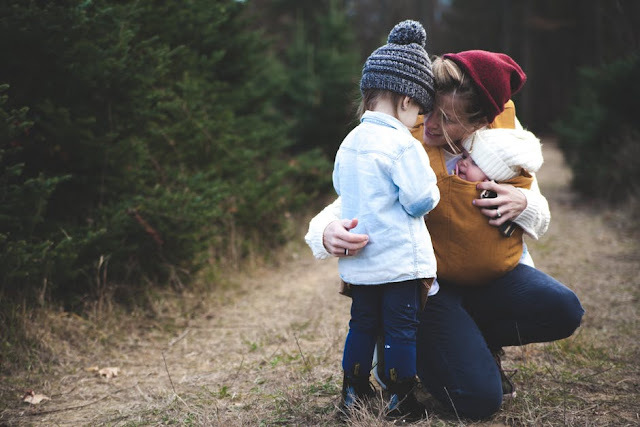 Instead of running after the child and being nervous, trying to persuade him to dress, hurrying and resenting that he again began to play with his toe - prepare the necessary things and give the child the opportunity to dress himself and then you to call for a walk. Instead of repeating the order of actions a hundred times (when dressing, cleaning toys, etc.) - draw a bright poster with arrows and hang in the children's room. Instead of regularly scolding the child for the same offense with the same words, come up with a short code word and say it in a "terrible" voice. For example, ХРЮ - if the child sloppily eats. Instead of asking the child to take the truck off the kitchen table or things forgotten on your bed every day, put a box at the entrance to the nursery and send all illegal migrants there every evening. Instead of constantly helping the child turn on the light, water, reach for toys in the closet - buy him a light stable stool. Instead of screaming through the whole apartment or playground, something important - make sure that the child hears you. Instead of trying to persuade someone to wear a sweater that is not loved by a child or get angry because of half-eaten cereal - learn to take seriously children's preferences. Instead of worrying about what the child does not know how, can not, do not want - accept it as it is and patiently teach. Adults can not influence everything, but we can not waste time on nonsense, but focus on the joys of today. In the end, no one has married yet, unable to read. All in good time and do not need to force events.